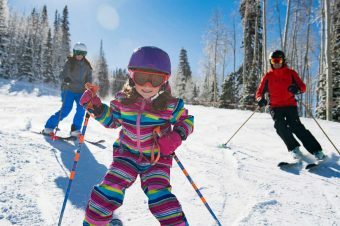 With one of the best ski schools in Colorado, the Beaver Creek ski resort offers families ample ways to enjoy Colorado snow with skis and without, and the Ritz-Carlton Bachelor Gulch adds an additional layer of family luxury to an already luxe mountain. The hotel ambiance is all high beams, fireplaces and a chic log cabin feel. After returning this month with all two of our kids in tow, it did not fail to meet up to my already high expectations. Welcome to the Ritz-Carlton for some snow skiing luxury. 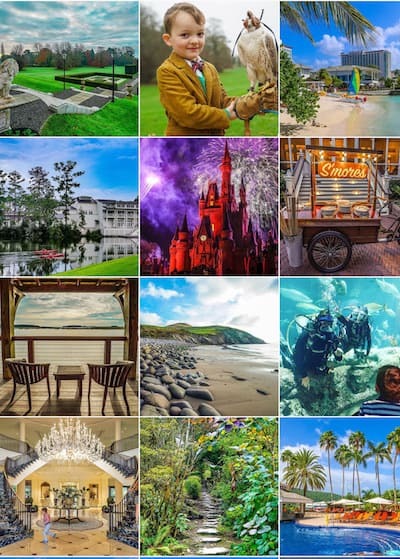 Rooms typically either have a fireplace and a balcony or porch, depending upon floor, and the hotel offers several large suite or residence options if you have your whole family along for the ride and want to spread out. This year we were given a mountain facing, 8th floor standard room that overlooked the lifts and gave a front row view of the après-ski scene from our balcony. After our first day on the slopes, my kids enjoyed room service on the porch listening to the live music. The resort is 8,000 feet above sea level so ask for a humidifier to be added to your room to help with altitude adjustment. It goes without saying that the Après-ski at the Ritz can’t be missed. The indoor Great Hall is snuggly, warm, and inviting with deep couches and long communal tables to grab some nachos, burgers, or —as I did— the most amazing grilled cheese and tomato soup. Its typical bar fare here and at Buffalo as well as a few more “upscale American” options at Wyld, the newest outpost just steps away. All offer your standard kid fare but served in a funky way like my sons mac n cheese in a cast iron dish. But if you want the best seats in the house, saddle up to the fire pit and enjoy the local singers who turn the afternoon into a competition of song recognition that gets rowdier with every pint poured. S’more making hits the pits at 4pm every day too! The Ritz offers a full range of family activities for groups of all ages. Skiing out here is a must, and the on site Ski Valet makes the activity effortless. Just give your name to the staff, and they return with your boots hot off the warmers and help to get your little ones ready for the slopes. 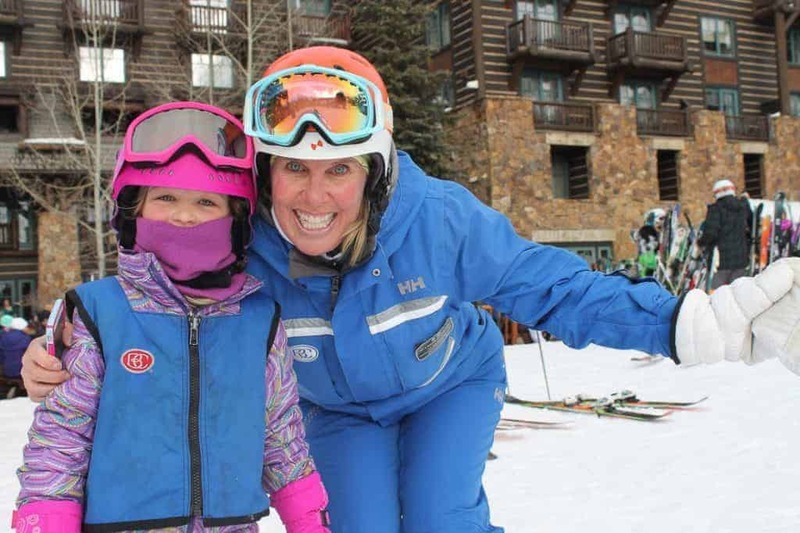 If you have younger kids, or if your brood doesn’t want to start as early as you do, they also offer a great Ski Nanny program to help shuttle your kids to get geared up while you hit the slopes. 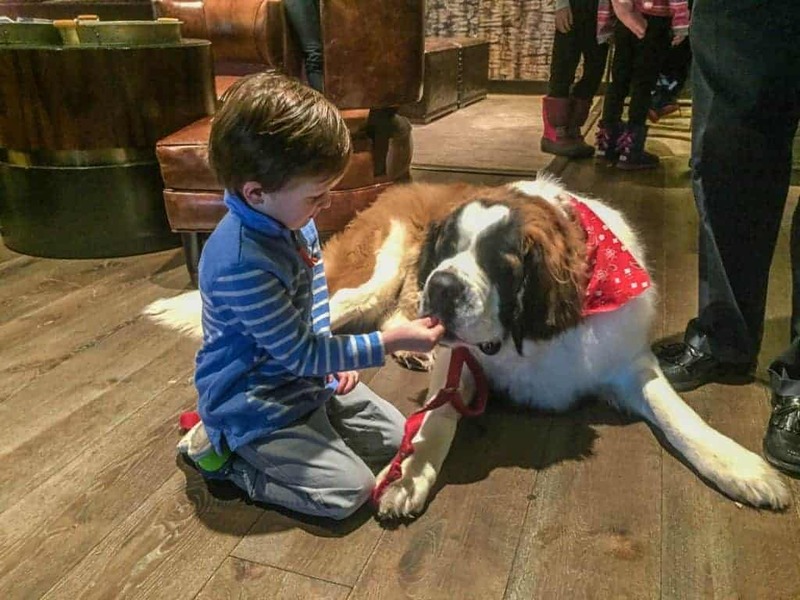 Bachelor is the Ritz Carlton Bachelor Gulch mascot. Naturalist programs are offered, too, like family snowshoe or evening snowshoe adventures, and its a MUST to meet the resident pup Bachelor during the meet and greets. Bachelor is a 180 lbs St Bernard puppy, and they also just added a 6-month-old Bernese puppy named Scout. The hotel boasts pet-friendliness with doggie amenities and pet beds available if you are traveling with your four-legged family members. First dip in the heated pool. Ask my kids what their favorite part of any trip is, regardless of how amazing the hotel is, and they will agree in unison – THE POOL! The pool complex at the Ritz doesn’t disappoint. 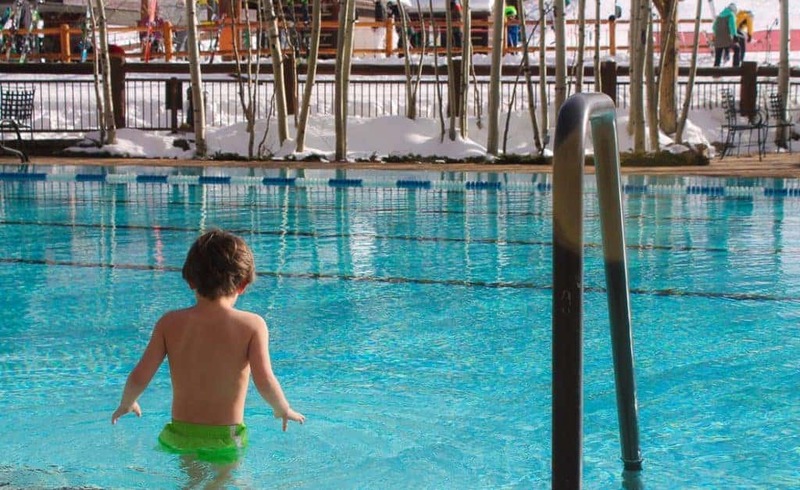 A full, length outdoor pool is perfect for those who want to sneak in a few laps and heated warmly enough to enjoy on the chilliest days. 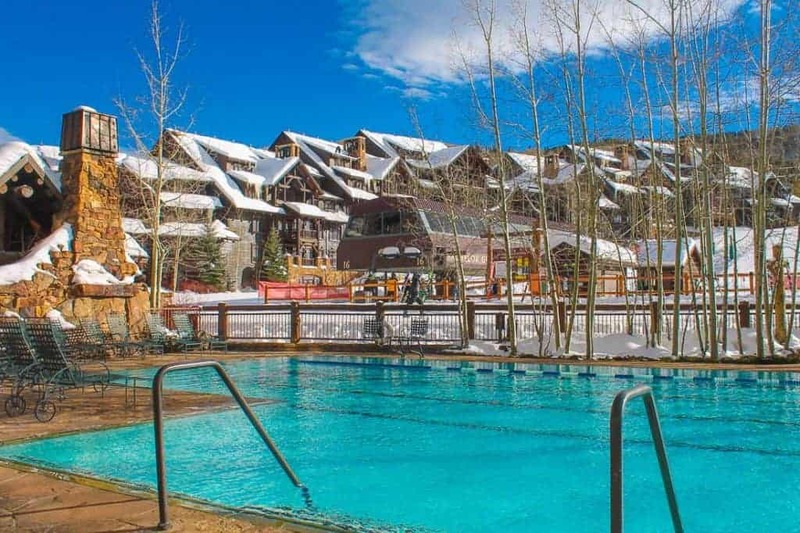 There are three nearby hot tubs to get in after a long day of skiing, and it is close enough to the après-ski bar to grab a beer or two and kick back and relax. We enjoyed a nice, local microbrew while my kids had a snowball fight in the hot tub— win, win for everyone! And ahhhhh, the SPA! You’re thinking just what I am. What spa in their right mind would let my crazy kids run around and ruin the Zen-like feel? The Ritz has an AWESOME program twice a week after all treatments are done. Families can sign up in advance for the family grotto night and enjoy the indoor rock grotto without feeling like a nearby facial has been ruined. 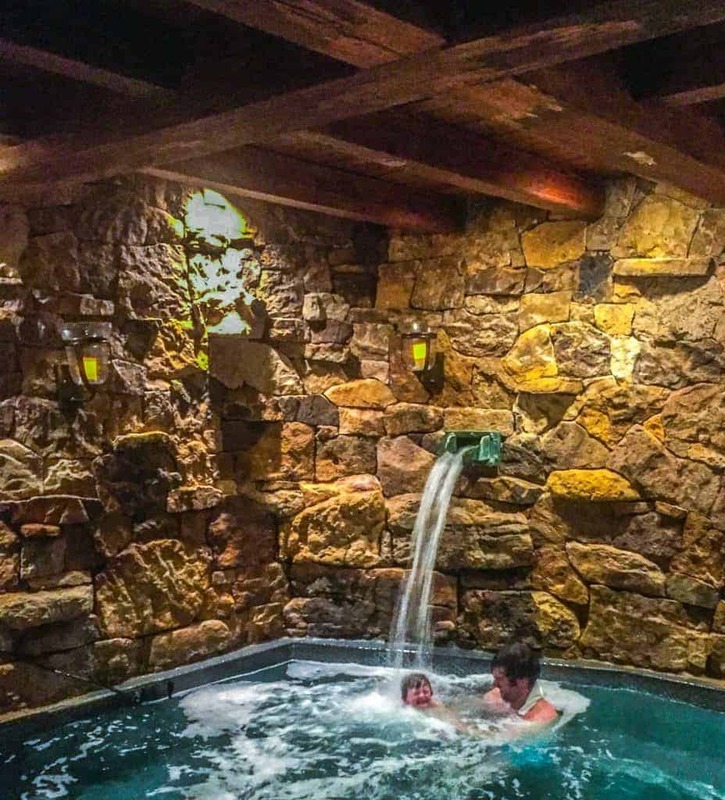 It’s so cool that the Ritz Carlton Bachelor Gulch Spa allows family hours. We had nearly the entire grotto to ourselves on a Thursday evening, and my kids loved playing with the cool face cloths. By the time we got back to the room it was bedtime— a perfect resort night for families. There is also an indoor game room and a Ritz Kids program similar to other Ritz properties. Families will have many options to entertain the kids and balancing some adult time. Beaver Creek Resort boasts that it is the “Ivy League” of ski schools, and I couldn’t agree more. After just a few hours with our incredible instructor, my kids were confidently tackling green and blue-level slopes. 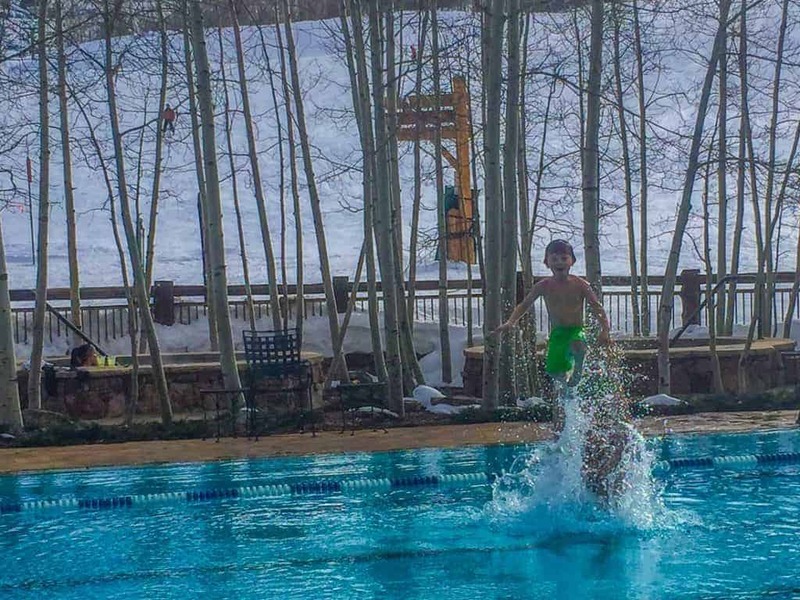 Ski school is incredible at Beaver Creek Resort. While my daughter focused more on her turns and form, my 4-year-old son bombed down the mountain with his dad. I had figured that both kids would be morning-only skiers, but the instructors made it so fun they fueled up at lunch and skied until last lifts! Private instructor pricing here is in line with other mountains out west, and I feel is truly worth every penny, for not only the undivided attention but also for access to the Ski School lift lines. Mid-week lines are not bad but mid-afternoon on a blue-sky Saturday, it was crowded. A wonderful perk to beat the lines using the Lesson Lift. 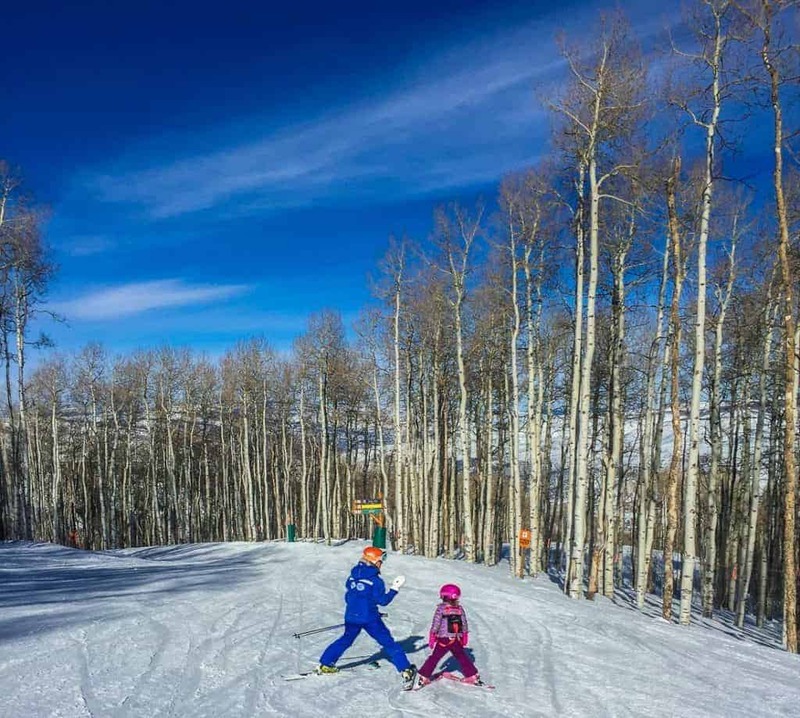 Beaver Creek Resort is also geared toward all levels of skiers. 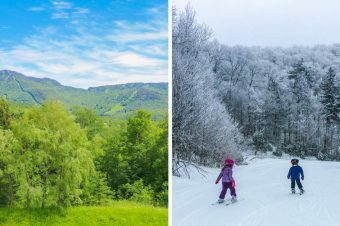 There are multiple “magic carpet” spots and an entire family learning ski area so no one minds if you are going slow, or if you are on the side of a run comforting tear-streaked, cold faces after a wipeout. The whole family got on skis. Even my father-in-law and I did, and we weren’t planning to. I even popped the skis on a few days after years of just being a ski bunny, and my father-in-law got out for a few runs too. Two MUST-hit spots with the youngest crowd would be the Ripperoo’s Retreat ski run (my daughter even overlapped with Ripperoo the mascot dog for the ski school at the top!) and Candy Cabin. Just when you thought a day of skiing couldn’t get any better with the kids, the mountain converted a small shack at the top of one of the main lifts to a candy store. This is also great to get kids to ski a little longer if they are feeling tired… “One more run and we will hit candy cabin!” Re-charged from sweets and sugar, they are pumped for the cruise down! 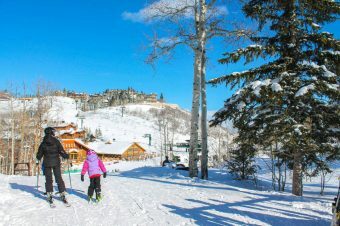 One of the best parts of a family ski vacation is that with all the built-in exercise, you feel as if you earned all the delicacies and food offerings that the area offers. Beaver Creek is known for its 3 P.M. chocolate chip cookies at the mountain base, and although we missed those sweets, we did hit the S’mores making in the village at the right time. Most of our meals were simple dinners at the Ritz or at the stand-by called Blue Moose Pizza in the village. The Ritz always had easy choices for kids and coloring sheets to do. The one excursion dinner we did trek up to with my in-laws who were also staying in town was Zach’s Cabin. Located mid-mountain, you hop into an open air snow cat right at the back door of the Ritz and take the 7 minute ride uphill. They offer two family seatings with a kids buffet conveniently at 5.15 and 5.45 pm. We jumped on the earliest sleigh possible and were also treated to the most fabulous sunset sky lighting up the Gore Range. 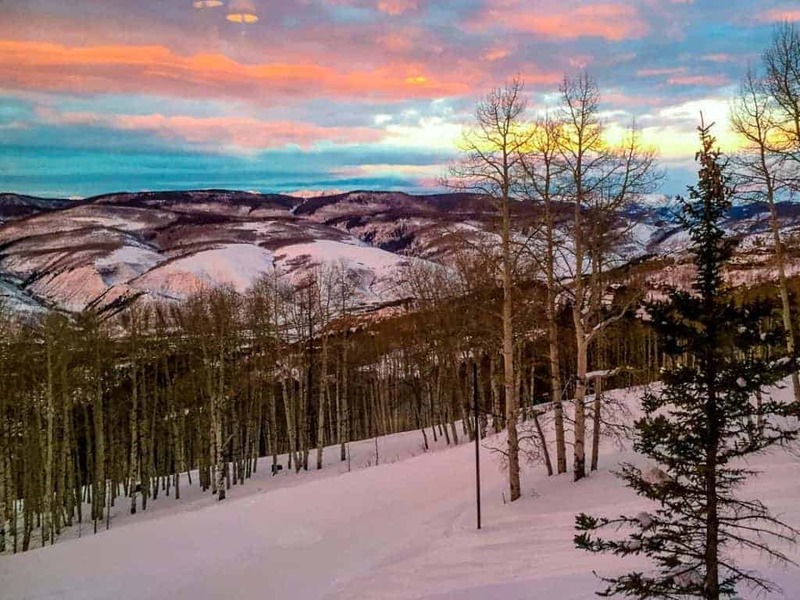 A beautiful sunset sleigh ride to Zach’s Cabin at Beaver Creek. The food is expensive but delicious, showcasing local Colorado inspired dishes like Elk, Trout and a creative spin on spaghetti and meatballs (made purely with veggies!). My son loved the kids’ buffet but after a full day of travel my daughter fell asleep before our waiter could even take our order. If you want to head into town, there is a complimentary shuttle that transports guests around. You can take this suited up with your skis to get to lower lifts during the day or it makes several stops in the village, as well. The village has several great dining options like the go-to Toscanini, serving Italian, and the laid back Dusty Boot Salon for a margarita fix. There is also a small, super cute skating rink in the village center if you want to lace up for a little skating with the kids. 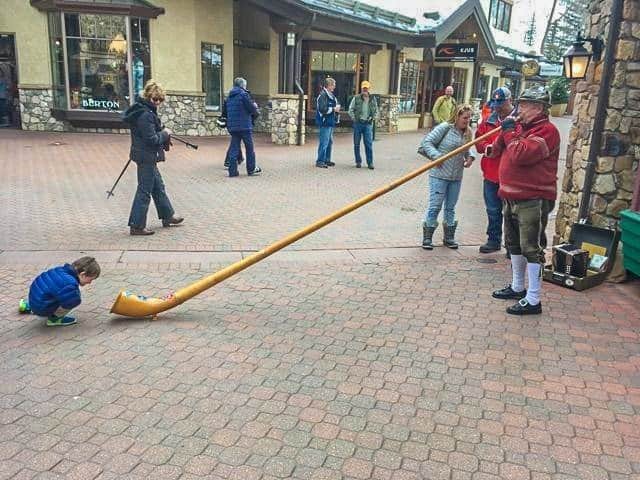 Our kids got the biggest hoot out of the town music man, dressed in full lederhosen regalia jamming out an accordion and blowing the largest horn we had ever seen. 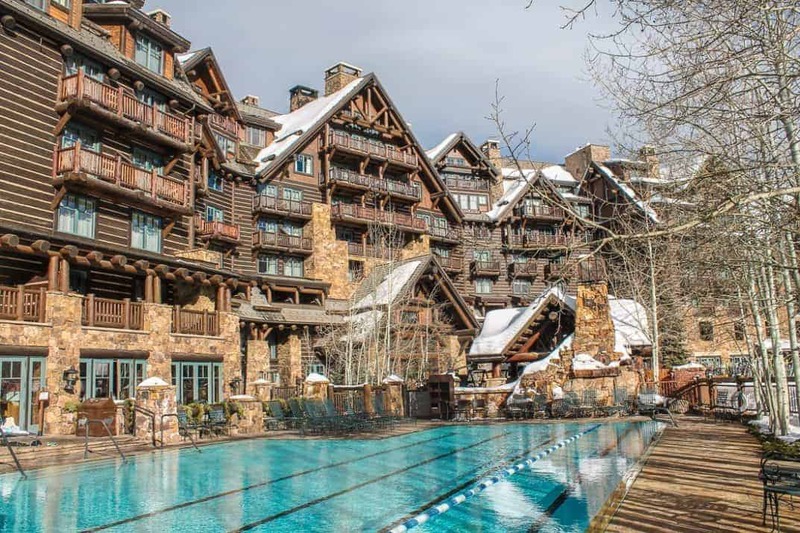 Beaver Creek Village provides the perfect backdrop for a family ski vacation and staying at the Ritz Bachelor Gulch was the added bonus of luxury to an already luxe family ski vacation area. Returning with the whole family, the resort was just as great. 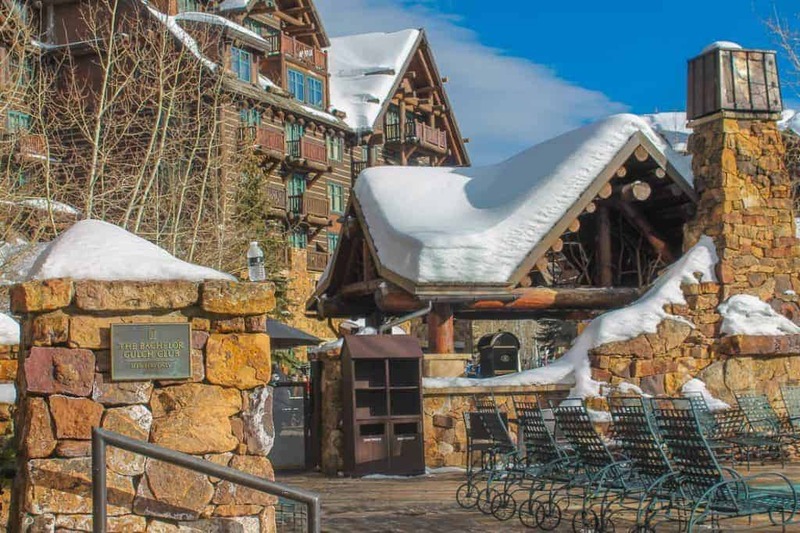 Check your dates for rates at the Ritz-Carlton Bachelor Gulch. Disney's Contemporary Resort & California Grill: Disney World's Best? Looks like an amazing place for a family ski weekend. No shortage of things to do with them.